Sellers who want to ‘try the market’ and put their home on the market without the elbow grease and funds necessary to make it shine, could be leaving 10% of the sale price on the table…or worse, it doesn’t sell at all. 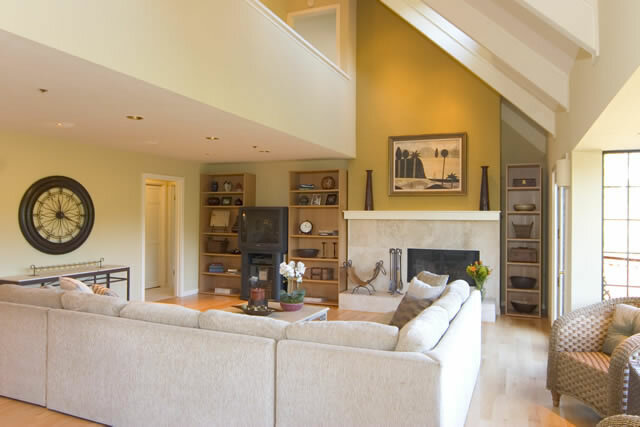 If you think your home will sell for a million dollars, you may have to settle for $900 thousand if you don’t use experts to de-clutter, paint, and arrange furniture in a way that makes the home ‘invite’ buyers to sit down and stay. Sellers have one chance to do that. Going back on the market later with a ‘new’ look really does not prompt agents and buyers to come back and take another look. We’re busy, we have our first impression…we think we remember everything that needs to be remembered. Unfortunately for some sellers, that first impression can include pet smells, old carpets, dated furniture, unattractive color palettes, and clutter that makes the home seem smaller. It’s just as important to debut your home with an agent who you have seen puts money into high quality flyers, professional photography, photo montage property websites, and other key print and internet advertising placement. The busy agent that throws up a sign the week before a holiday week-end, has an assistant host the little-attended opens, and has print-outs from the MLS as hand-outs is providing little service. Worse yet, an agent like that makes it more likely his or her client will have to drop their price significantly. Agents that offer you a small discount on the commission and promise you a much higher price than you’re hearing from other experts, are looking out for themselves, not for their clients. They are counting on a long-term listing that will eventually be dropped in price significantly, but will still make them a commission. Instead, do your homework and go with the hard-working, honest agent, high-end materials, and a realistic price. You will walk away with a much fatter bank account.